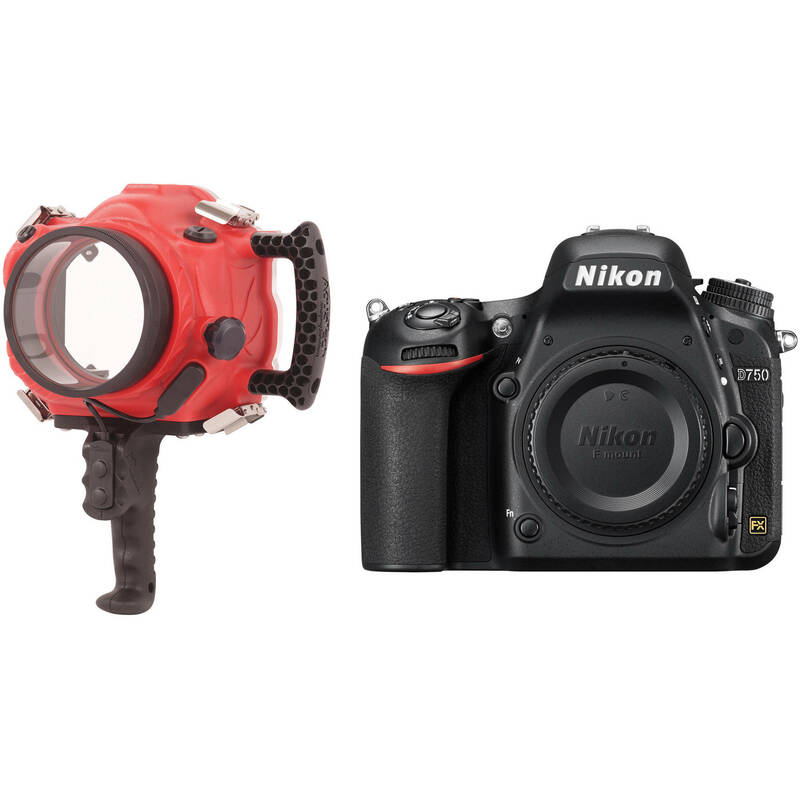 Capture 24.3MP photos and full HD 1080p video underwater with this AquaTech Base D750 Underwater Sport Housing and Nikon D750 DSLR Camera Body Kit from B&H. The housing is depth-rated to 33 feet, features a pistol grip with focus and shutter buttons, and has a side handle for a secure grip. Featuring a full-frame CMOS sensor and the EXPEED 4 image processor, the camera can produce high-resolution imagery with smooth color gradations, low noise, and sensitivity to an expandable ISO 51200, at a continuous-shooting rate of up to 6.5 fps. Once you grab your favorite lens, the appropriate port, and a strobe or video light, you'll be ready to start your dive. 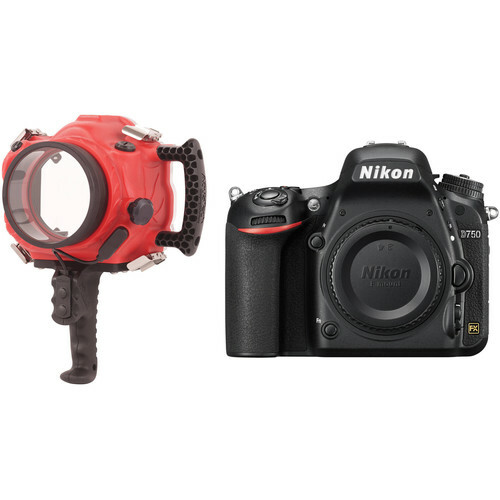 Capture photos and video over, under, or near the water's surface with your Nikon D750 DSLR camera in this AquaTech BASE D750 Underwater Sport Housing. Featuring a depth rating of 33', AquaTech housings are designed for shallow water and surface use, and shouldn't be operated at depths beyond 15' for longer than five minutes. An optional bulkhead sync connector, supplied with the optional AquaTech Strike flash housings, enables the BASE D750 to work with external strobes and Pocket Wizards. Housings are available for various flash units. The BASE D750 has an ergonomic design with a side grip handle. Its body is crafted from durable polyurethane, while smaller parts are made from stainless steel and anodized aluminum for resistance to corrosion. The O-ring and quick-release clips with safety latches ensure a watertight seal. Additionally, a standard threaded mounting point at the bottom of the housing enables connection to an optional tripod or tray.